Salvador is the most representative city of the African continent in Brazil. It is the most Afro-based population in the world outside of Africa, over 80% of the population is from African background. The capital of Bahia maintains the cuisine, culture, and particularities of those countries on the other side of the Atlantic Ocean. The food, religion, culture, music, dance, and art are derived from African peoples who are available all around the city. The African cultural traces can be observed in countless manifestations in Bahian culture, such as popular music, folklore, and popular festivals. In this regard, the Federal government is developing an ethnic tourism segment. Ethnic tourism offers specific routes, such as the Liberdade neighborhood, which has the highest Afrodescendent population in the country, about 600 thousand inhabitants. The Bahian cuisine is one of the most African representative in Brazil, serving typical dishes, such as: “acarajé”, “caruru”, “vatapá” and “moqueca”, dishes that are prepared using “dende” (palm) oil, extracted form an African palm tree brought to Brazil, during the colonization period. Brazilian “Feijoada” (bean stew mixed with small pieces of pork and black beans) is cited as being created by slaves in their quarters. There are about 3 million inhabitants in Salvador and it offers internationally know touristic spots, such as the “Pelourinho” and the “Farol da Barra”. 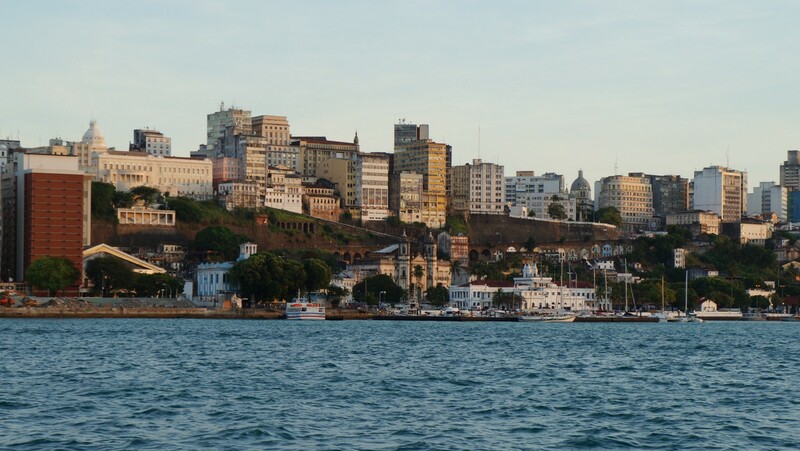 It was discovered in 1501, the “Soteropolitana” (people born in Salvador) city was given its name “Bahia de Todos os Santos” (All Saints Bay), in an epoch when it was one of the busiest ports in the South American continent. In 1549, it was selected as the capital city of Brazil. Slaves were brought by Portuguese colonists and they were forced to work on sugarcane plantations in northeastern Brazil. Brazil has the largest Afro population outside of Africa.